What moves you? Artists, writers, composers, guerrilla gardeners, story tellers, urban space manipulators etc interpret their experiences in transit. TrIP Phase One remains a work in progress as TrIPers aim to collectively ride all of the routes that make up the LYNX bus system. There are several routes or “Links” that remain unexplored. We will continue to publish “addendum” blog posts submitted by participants. These posts for various reasons were not featured Dec. 2-31 or are just simply new submissions. 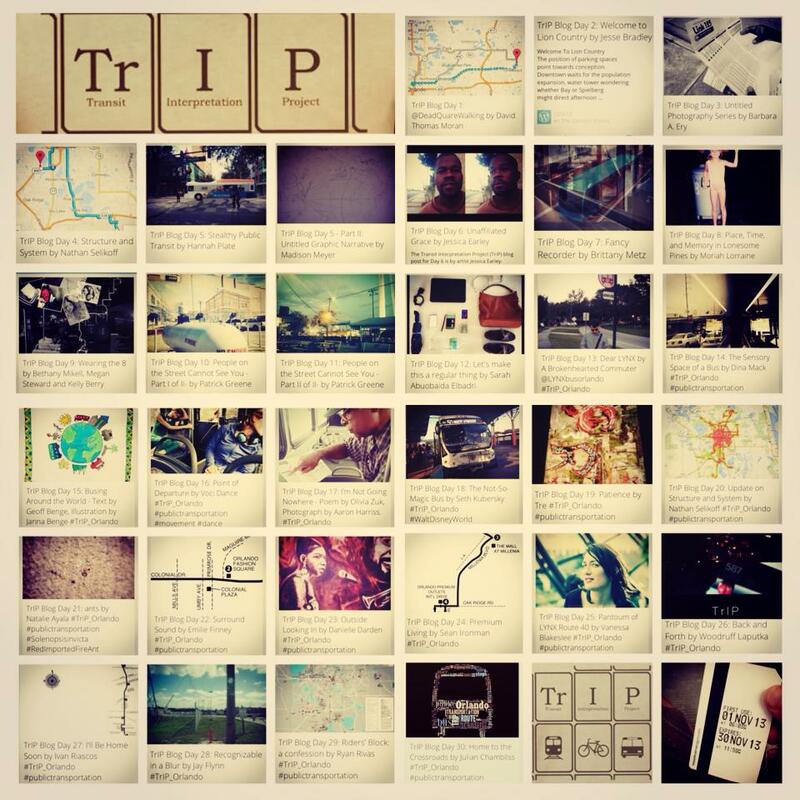 TrIP itself is evolving and as the project’s curator Pat Greene would say “on-going..forever.” The creative collective of TrIP participants (TrIPers) continues to grow as well. For information about how to get involved with TrIP, please contact TrIP’s founder and curator Patrick Greene via email at hearsayu@gmail.com.